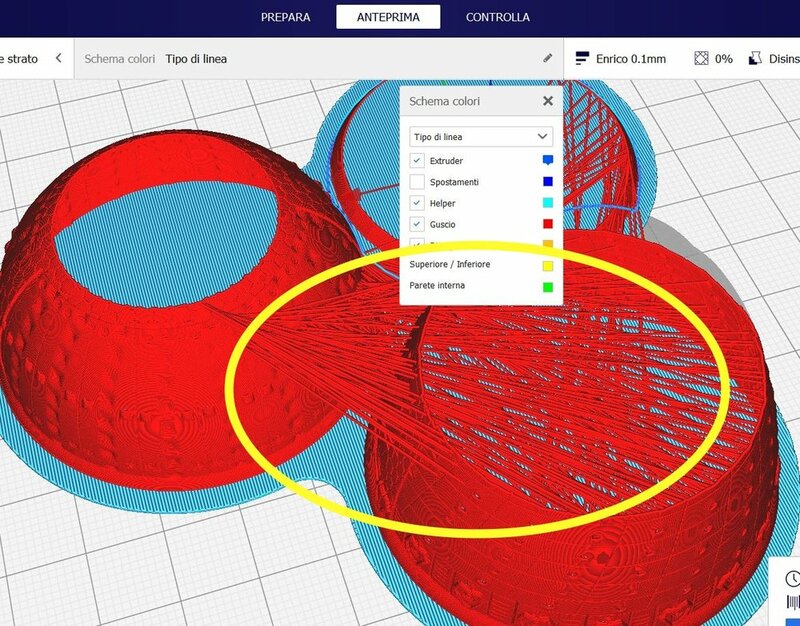 Posted March 30 (edited) · Cura 4 Wrong shell? 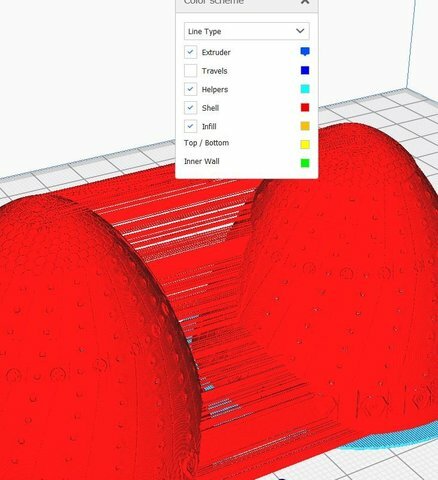 why cura create this shell merged with all object? Posted March 30 · Cura 4 Wrong shell? i repair model with Zbruhs-> Meshmixer-> netfab online -> cura: plugin Mesh. is a Cura 4.0 bug? Would not know unless the model can be evaluated. And, if this is not for a UM printer, something may be wrong with the printer def. 2019-03-30 22:20:49,185 - DEBUG - [Thread-12] UM.Backend.Backend._backendLog : [Backend] [WARNING] Mesh has overlapping faces! Posted March 31 (edited) · Cura 4 Wrong shell? I did not see the attached model and .3mf file. So, thanks to @smartavionics for slicing it and making me look again. Sorry about that. Ever since surgery, I am not fully brain ready. But, I did download the model and it checked out fine. I had an issue with the .3mf file opening. Maybe the download was corrupted in transfer. But, I did slice the model using my standard UM printer profile and it sliced fine as you can see below. So, I am leaning towards a bad printer profile. Posted March 31 · Cura 4 Wrong shell?